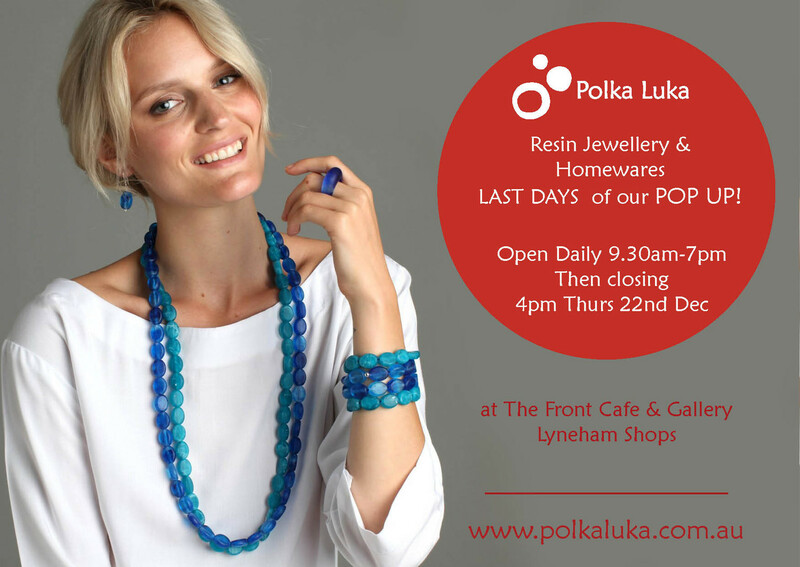 Visit Polka Luka’s Christmas Pop up for the perfect Christmas gift or summer piece. We’ll have a whole new jewellery range, new resin homewares, new clothing and new silver jewellery. Then Open Daily 9.30am-7pm until Thurs 22nd Dec.